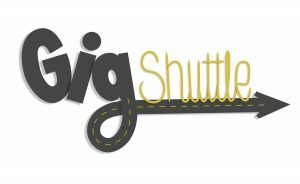 The GigShuttle service welcomed Amazon to the neighborhood, giving residents direct access to the Amazon team and their hiring process. 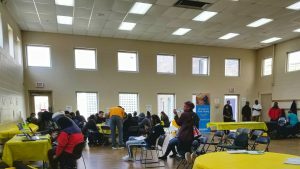 The Walnut Hills residents showed up in large numbers to get access to the GigShuttle and secure a job with Amazon. We also had residents from all around Cincinnati show up. As people entered the door they were greeted by the GigShuttle team and led to the Amazon registration booth. From there, they went on through the application process. Interested in working for Amazon? Click the photo for more information. The GIGShuttle is a transportation service that helps connect you to a job, take you there, and bring you back home. For the last 2 months the WHRF outreach team and The GigShuttle crew have been working to market this service to Walnut Hills residents. Many residents have expressed that lack of dependable transportation, and inadequate bus routes, are barriers to securing and keeping a job. This service was created to fill the transportation gap. Interested in this service? Click the photo for more information.